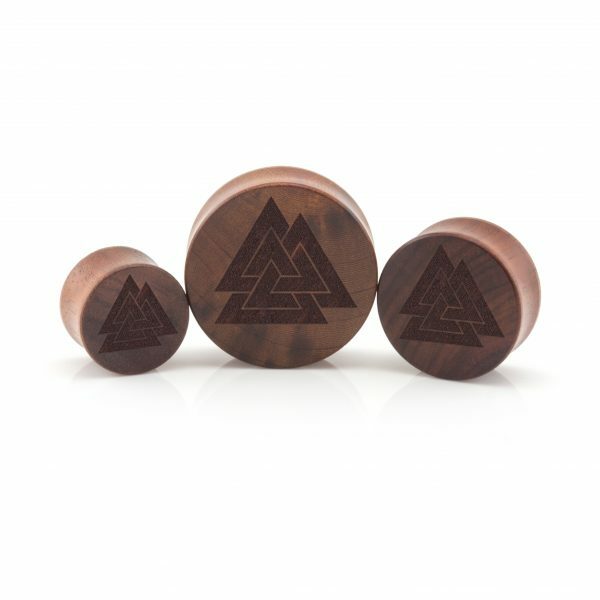 This Valknut ear plug is laser engraved by us in house giving it that personal hand made touch at a price that’s affordable. The Valknut is a symbol originating from Norse mythology and is often associated with Odin. 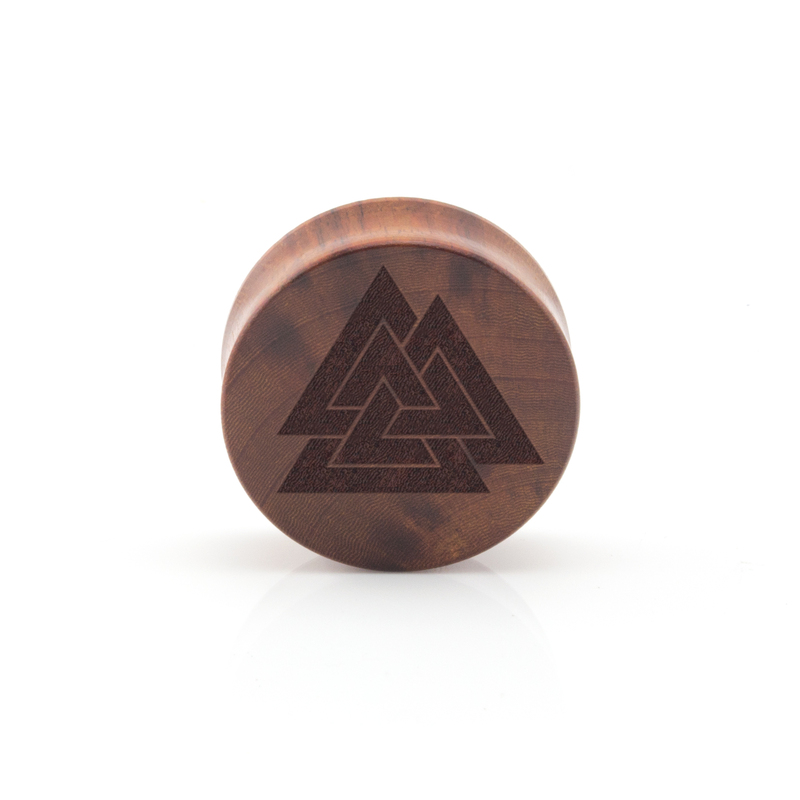 The word Valknut translates as coined from old Norse words valr, “slain warriors” and knut, “knot”. 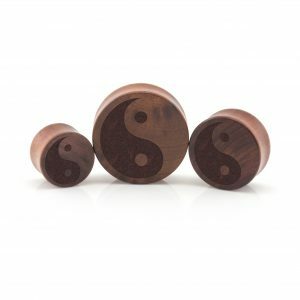 The original meaning of the symbol is unknown however the 2 most widely accepted theories are that it was to symbolise Odin’s power to bind and unbind. The other is that it was a symbol for transitioning from life to death. Either way the mystery surrounding its origins and how it looks on a wooden plug is pretty sweet!